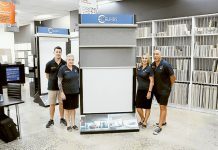 BIG MOVE AFTER 20 YEARS… From left (back), Stockdale & Leggo property manager/administration, Debbie Wiltshire, residential property manager, Kia Rogers, residential property manager, Colin Theobald, commercial property manager, Jessica Tassoni, reception/administration, Mia Beks, residential and commercial sales, Vince Tassoni, sales support, Casey Eckel, property manager/administration, Linda Matthews and sales administration, Katie Lewis. 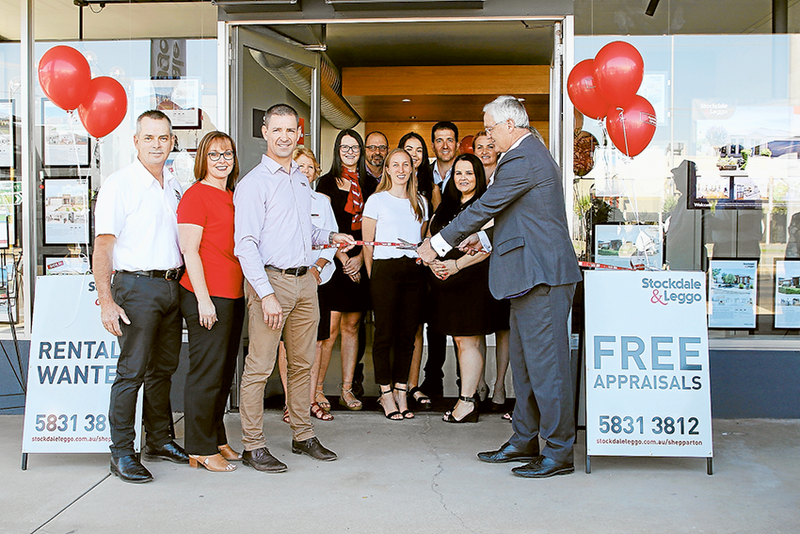 (Front), Stockdale & Leggo senior sales and chattels valuer, Darren Butler, senior property manager, Fiona Butler, managing director, Scott Butler cutting the ribbon to officially open the business’ new premises with Federal Member for Murray, Damian Drum. 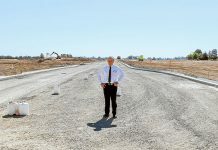 (Absent), Stockdale & Leggo property manager, Glenys Overwater, property manager/administration, Melissa Mennen. Photo: David Lee. 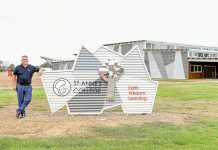 IT was a joyous occasion on Friday last week, when the Butlers and staff at Stockdale & Leggo celebrated the official opening of the business’ new premises, with Federal Member for Murray, Damian Drum cutting the ribbon. Having been in the previous premises on the corner of Wyndham and Nixon Streets for 20 years, the new location on the corner of Wyndham and Knight Streets provides the business with a purpose renovated, 200m2 office space fit with a commercial board room. Managing director, Scott Butler said, “These new premises allows us to run the ship a lot more system oriented. Damian Drum said, “The only way you can ever be successful in real estate is with a large degree of honour because you rely on your customers. International Beer Day is coming up!